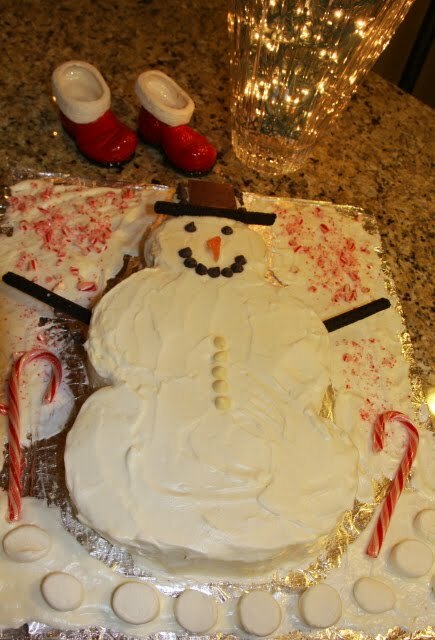 I made this cake for my son’s class. The kids loved it! 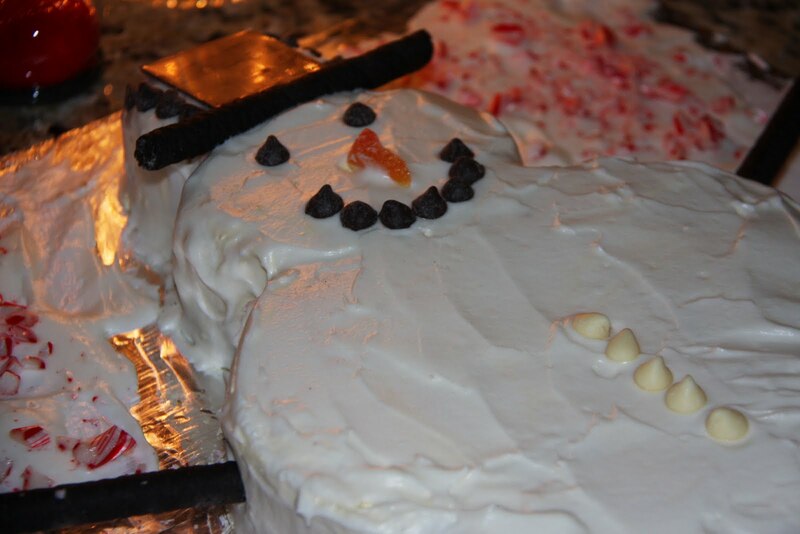 Just bake a regular cake and cut around edges to form a snowman. Use Oreo straws for arms and peach ring cut for nose. I found this on a blog and cannot take credit. 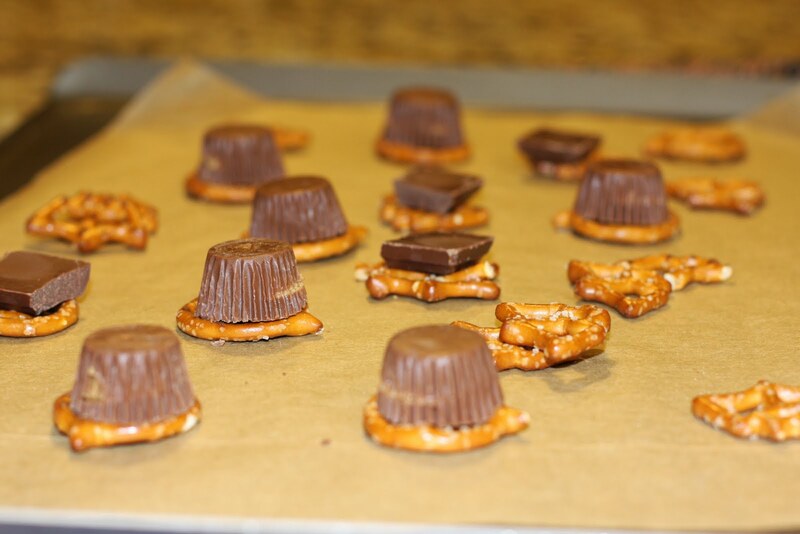 I used leftover candy from Christmas stockings. Bake at 300 degrees until candy melted. 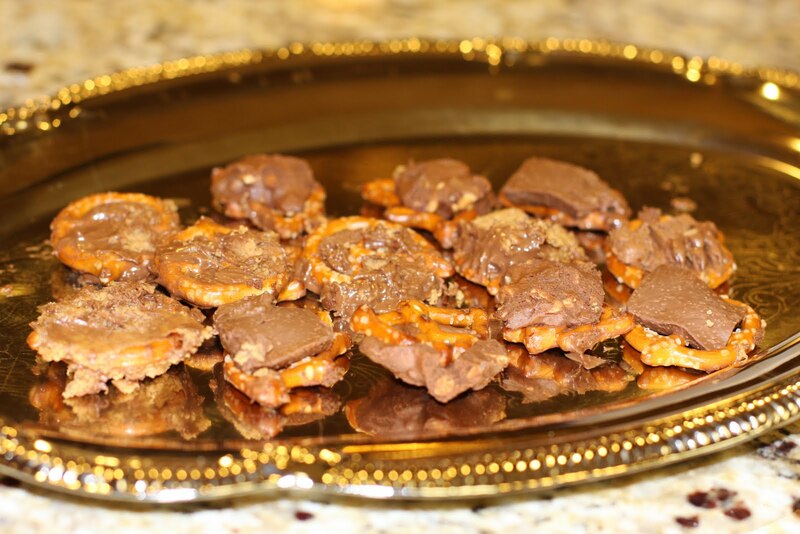 Smash candy lightly over pretzel and let cool on wax paper. Display on a fancy platter. 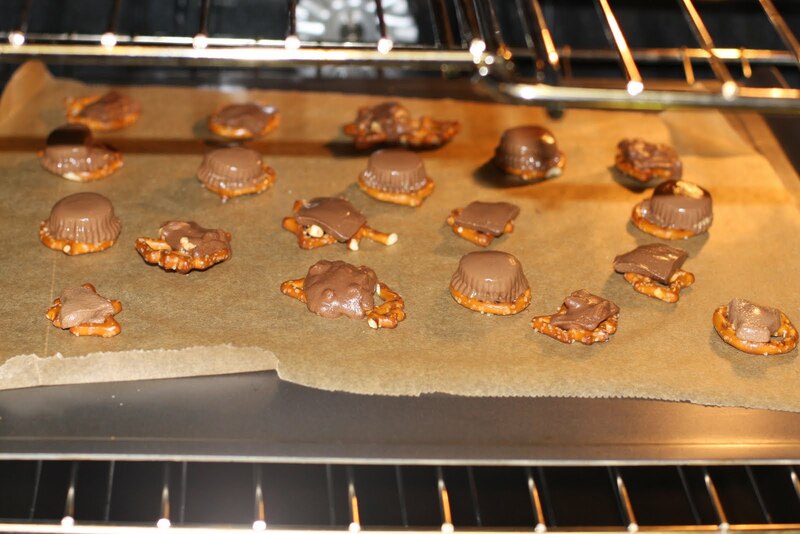 They didn’t turn out like I would have liked but they were eaten! My friend Leslie made these for a girl baby shower and I thought I would try my hand at making them for Valentine’s day. So quick and easy! 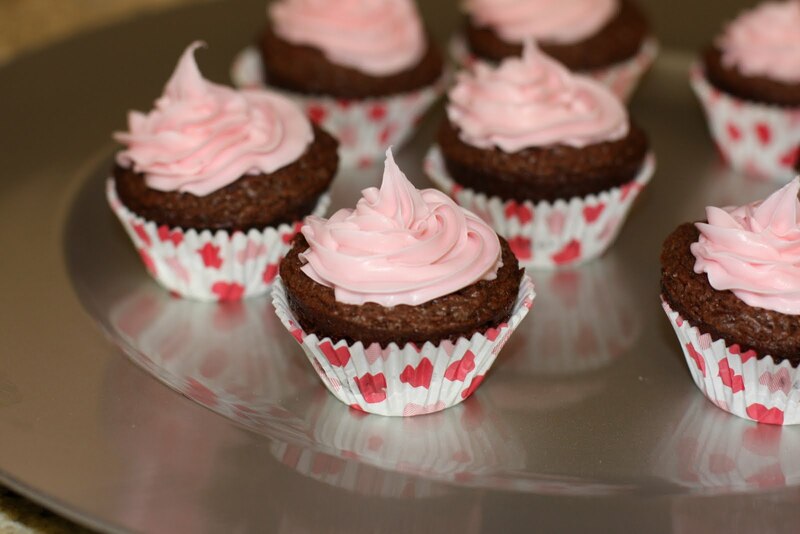 Make brownie mix, use mini ice cream scooper to put mix in each section (use cooking spray and do not use paper cups). 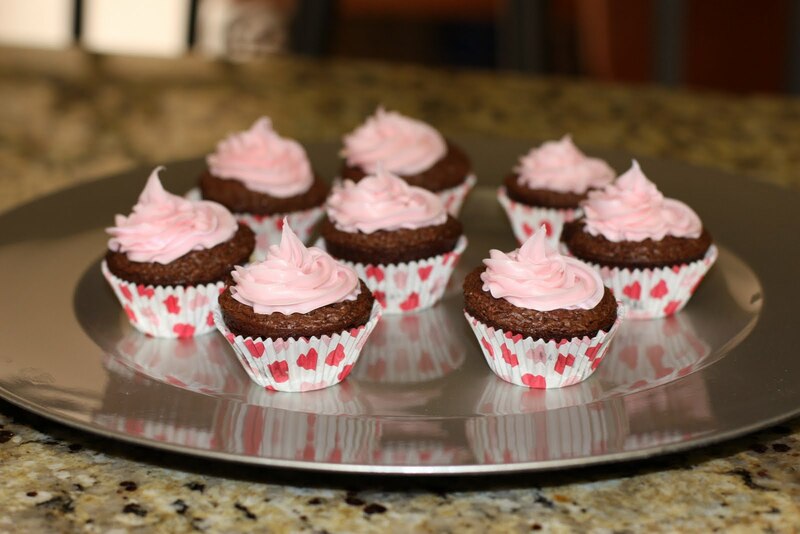 After they bake and cool, place in each cup and decorate. She said not to bake in cups because they get greasy. Great idea! Gotta love Betty Crocker to save some time. 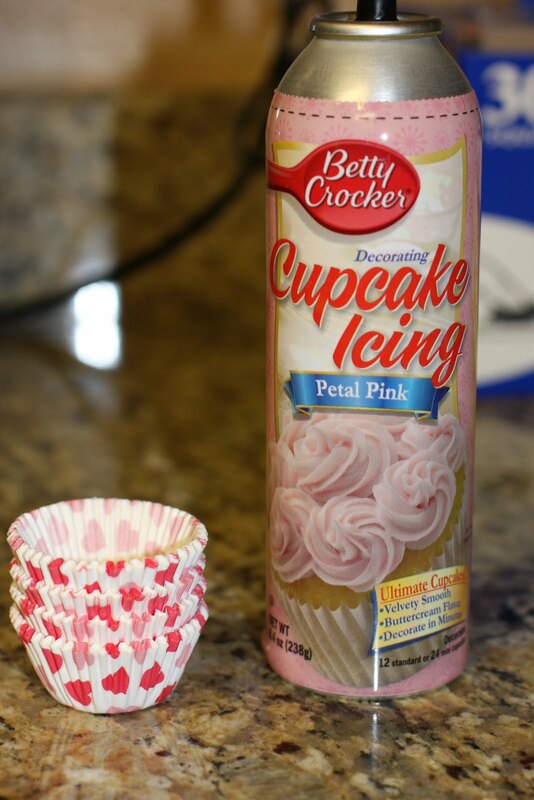 I am still gonna try Wilton’s version because this one had a bit of a “cheap, premade taste” to it.